Matthew 22:36. 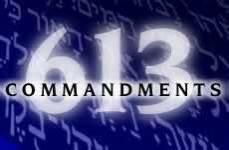 Teacher, which is the great commandment in the Law? ALL YOUR HEART,WITH ALL YOUR SOUL, AND WITH ALL YOUR MIND. [Deut. Matthew 22:38. This is the great and foremost Commandment. contrary, we establish and keep the Law. when he brings an offering made by fire as an aroma pleasing to the LORD. pleasing to the Lord, he must do exactly as you do. generations; as you are, so shall the sojourner be before the Lord. above in God's Word, Pastors have not taught this accurately. Abraham, Issac and Jacob. How then can the Law be dead? applies forever and nothing nullifies a perpetual statute. misrepresenting the word of God, as well as preaching from Paul vs. Jesus. Num 15, 36; Deut 4, 5, 6, 7, 8, 10, 11, 13, 26, 27, 28, 30, 31.
words never contradict. (see Red-Letter Bible tab). straight from the Old Testament. Copyright 2012. Do Not Add or Subtract. All rights reserved.